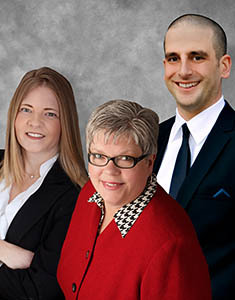 Browse Corn Hill real estate listings, homes for sale, and local information with the local expertise and insight of RE/MAX New York real estate agents. My Corn Hill garden - stop by the neighborhood for the Corn Hill Arts Festival this weekend! 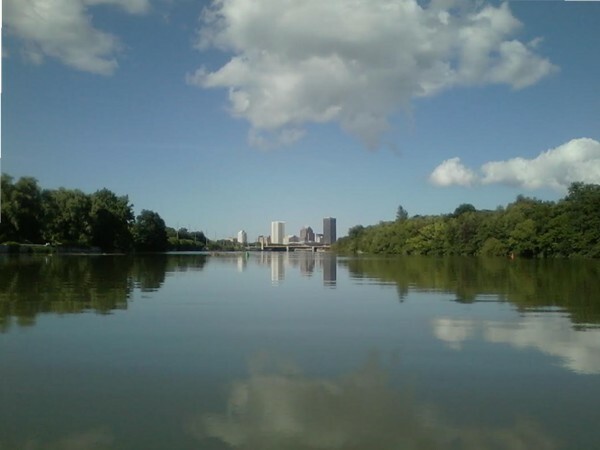 Stunning view from one of Rochester's great waterways! 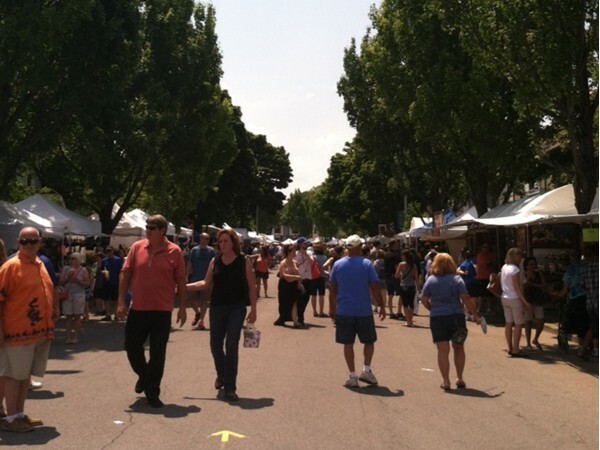 The popular Corn Hill Arts Festival in July! Panzari's Italian Bistro - the Little Italy of Corn Hill! 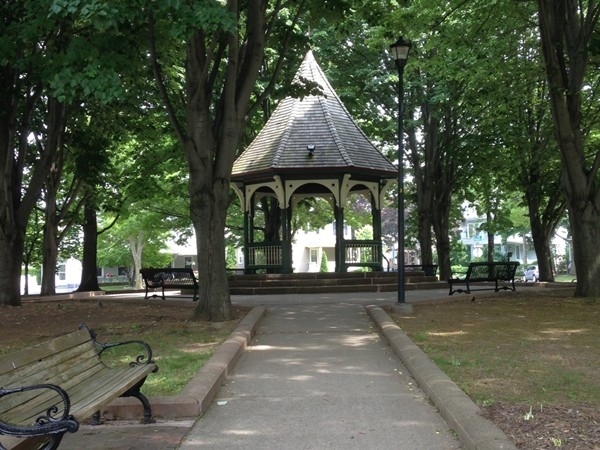 The gazebo in Corn Hill District, a popular spot during the arts festival! Every year the Corn Hill neighborhood hosts a tour of both modern and historic homes in the month of December. It is a lovely experience to walk around Corn Hill all lit up for the holidays, and with a bit of snow it's like a scene straight from a fairytale! 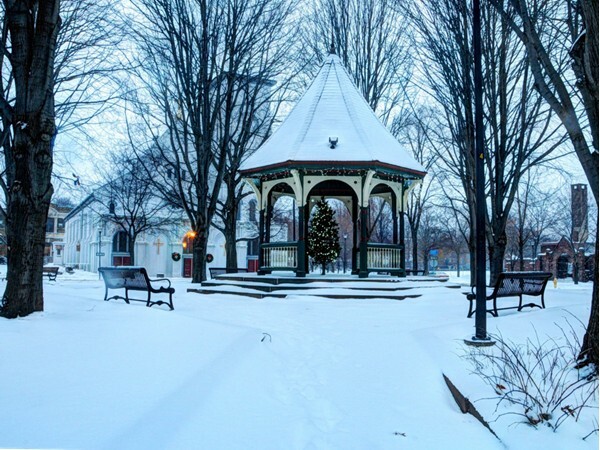 The charming Corn Hill gazebo in its holiday dress is a must-see. On top of it all, coffee and cookies are provided for the guests! This year the tour is being held at three separate times on Saturday, December 6th. 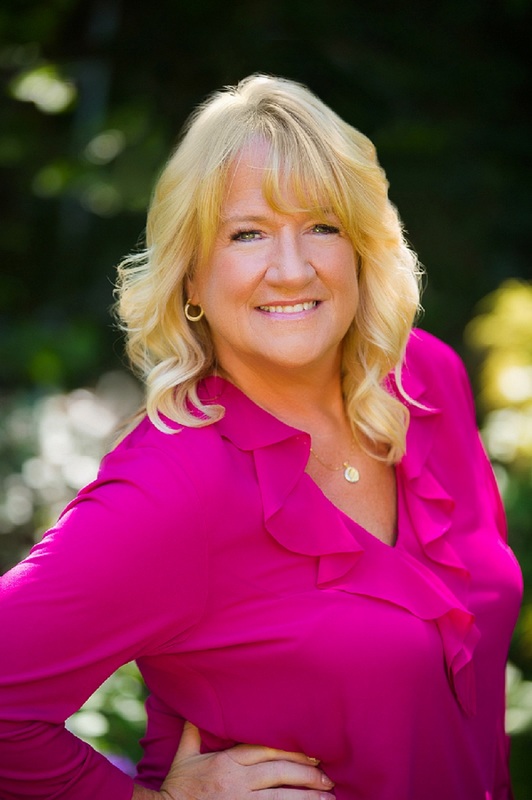 Click the link below to buy a ticket - hurry, one time slot is already sold out! 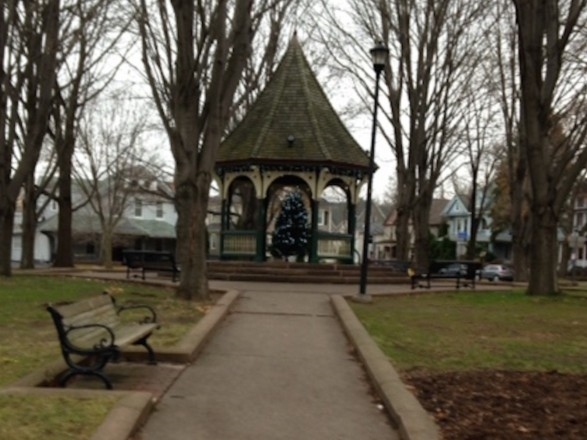 The Corn Hill Holiday Tour - more info and tickets! It's so nice to have a breakfast restaurant that serves much more than the normal diner-fare. 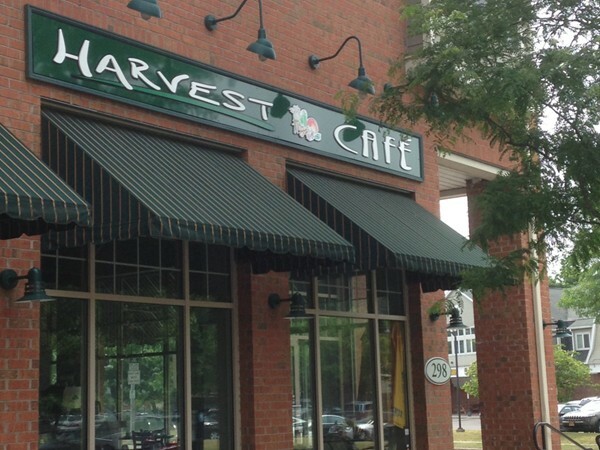 Harvest Café is currently located in Corn Hill Landing. My two favorites are River Walk Steak and Eggs (it's wonderful, but make sure you're really hungry!). And on the other end of the spectrum you have, the "Lite" omelet with tomatoes, spinach, arugula, and goat cheese. For those with a sweet tooth I would highly recommend the Corn Hill French Toast with its delicious cinnamon and vanilla batter. For chocolate fans, their Cookie Dough Pancakes are a must. For those who want a lighter taste of something sweet, you can order a side of fruit with just about anything. There are many fresh and tasty options at this great café, the only issue you will face is deciding what to order! Click here for the Harvest Cafe Menu! 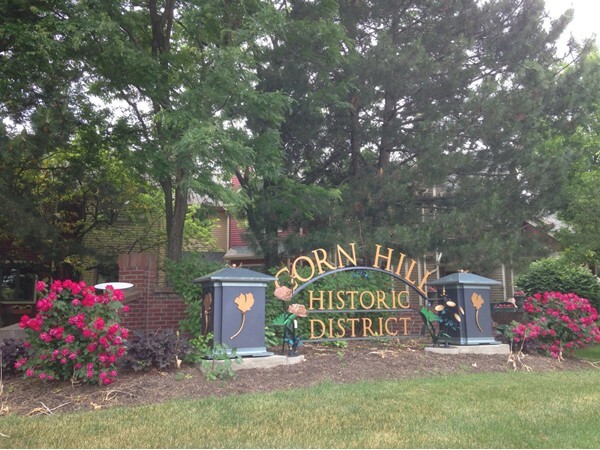 Review of the 2014 Corn Hill Arts Festival! I couldn't have asked for better weather on Saturday - 83 degrees and not a cloud in the sky. This is one of the many reasons that the crowd estimate came in at 90,000 people! It was a great day to have a cold lemonade, walk around, and browse the shop tents selling everything from jewelry and paintings, to handmade soaps and lawn ornaments. In fact, the "hot" item this weekend was the hummingbird lawn ornament. It was a big seller and it seemed like every other person walking out of the festival had one in hand. There was a wide variety of food trucks to choose from including Italian, Mediterranean, and classic American cuisine - and we can't forget about Abbott's ice cream! The food truck that got the most attention, though, was the "Macarollin" Gourmet Mac and Cheese truck. There was a consistent crowd surrounding this area ogling the large portions and varieties of macaroni and cheese. There were tables set up right around the gazebo stage where people sat and enjoyed their meals while listening to some great throwback hits and smooth jazz tunes. Overall, the Corn Hill Festival was a huge success and enjoyed by many! The countdown to next year begins! 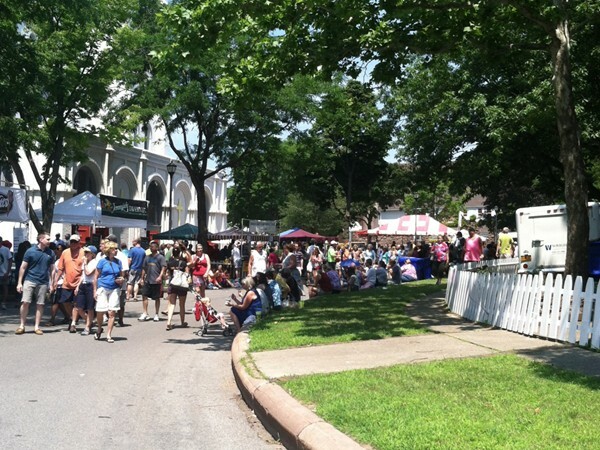 The annual Corn Hill Festival is a celebration of art, craftsmanship, music, food, and more. It has been a tradition in my family to attend this festival each year. It is always a great time and this weekend seems to catch the warmest weather of the summer. Beyond the delicious lemonade and kettle corn, the festival has a lot of great things to offer. There is an emerging artistâ€™s expo. There are more beautiful jewelry stands than can be counted. Handmade clothing in summery prints and tye dyes line the streets of this historic neighborhood. Musical acts contribute to the fun atmosphere of the festival and bring people together to sing and dance. Beer and wine gardens are set up for those old enough to enjoy. There is something for everyone at the Corn Hill Fest so come out and experience it yourself this weekend (July 12-13)! I, for one, will be set up on Santiago Street giving out free water and information about the festival so stop by and say hello! Click this link for the Corn Hill Festival website! Dream of the food of Italy, but don't have the time or the euro to go abroad? Visit Panzari's Italian Bistro across the street from Corn Hill Landing at 321 Exchange Blvd. Panzari's boasts a wide variety of Italian dishes from seafood to Paniniâ€™s and everything in between. I suggest the Gnocchi and its wonderful tomato basil cream sauce. Even though everything I have tried on Panzari's menu has been delicious, I encourage you to go off the menu for something I get time and time again - the Bow Tie Pasta with alfredo sauce and peas. Go to Panzari's for a flavorful, hearty meal in a comfortable and relaxing environment! Click here for Panzari's menu! Not until my daughter married Mike DiMino in October 2012 did I realize how popular sausages were with Millennials. 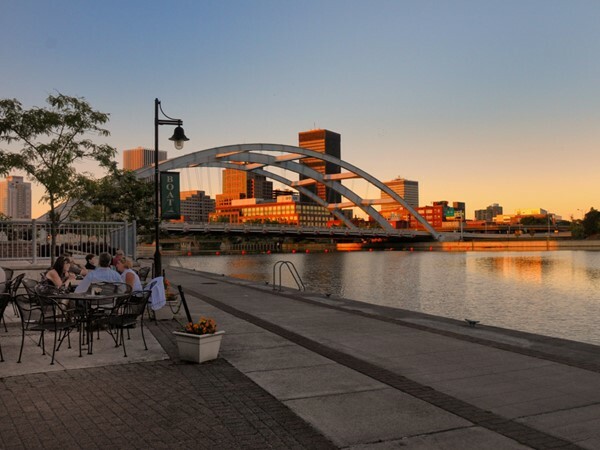 Rochester Taproom reinforced what I already knew - beer and sausage go hand in hand. My personal favorites include spicy pork with blue cheese, buffalo sauce, and scallions, as well as spicy chicken with caramelized onion, Swiss cheese, crisp apple, and spicy mustard. To add to the fun atmosphere of the Rochester Taproom, the World Cup coverage has made it a premier viewing spot for each game. 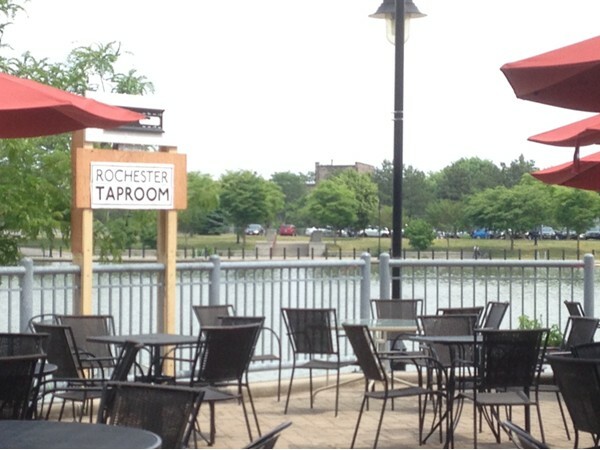 On nice summer days they even show the games out on the waterfront patio! "Victory" beer specials at great prices during each match bring the viewers in and the lively crowd of soccer fans keeps them coming back for more. July 1st at 4 p.m. - stop by for specialty beer and sausages and witness USA beat Belgium! 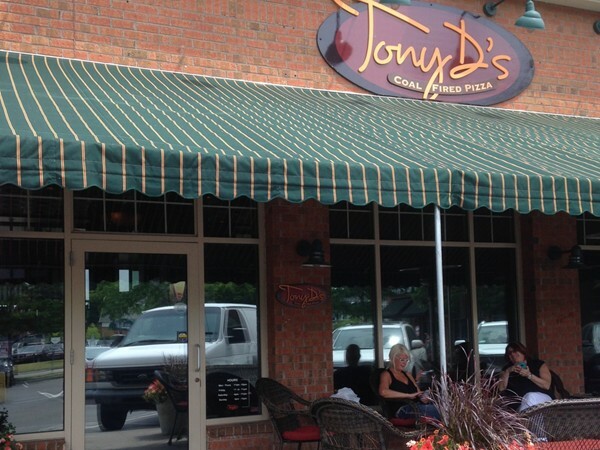 There are many things I love about Tony D's - coal fired pizza, daily specials, a waterfront view, and more. It has become a very popular spot in the Corn Hill area. However, there are other gems offered by Tony D's that don't get as much attention. You might consider ordering "tapas" style. For example, appetizers such as Tony's meatballs with marinara and ricotta cheese are a crowd favorite. The arancini, and greens and beans are two other fantastic options that could make a great meal for two. Consider ordering these plates as an alternative to the traditional! Click here for Tony D's menu! I love Corn Hill for its close vicinity to everything you need to do downtown. 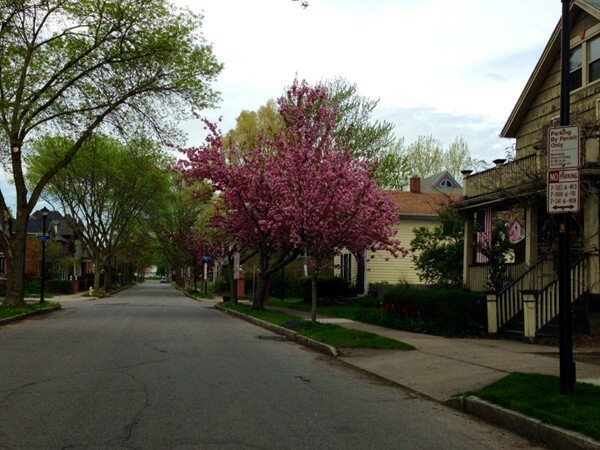 This is a tight knit community with beautiful historic homes, and modern townhouse communities as well. The Corn Hill Arts Festival is just one example of what the neighborhood has to offer. The recent surge in development and population in downtown is beginning to draw new businesses and restaurants to this area, making Corn Hill a phenomenal option for someone looking for city living.